The IVLP program has changed the way I think about my life. First of all, in my personal life I have new-found self confidence and self-esteem. 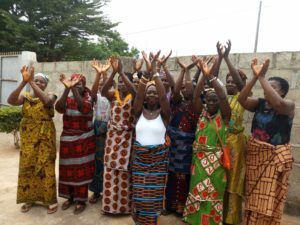 Professionally, I have started a cooperative called ASSÔWÔ (meaning Stand Up), which involves every woman in my village. Our vision is to be the leading company that produces and sells ginger drinks/products from women’s farms and create jobs and training opportunities for them. Now, I am empowering women and youth in rural area in my country, Côte d’Ivoire, by providing them with job opportunities and leadership tools. I am now aware that there are a lot of opportunities everyday if you are prepared to see them. While participating in the IVLP program “Volunteerism: United We Serve,” I discovered the powerful impact of making a positive difference while serving my community. I learned about how to empower women in rural areas through training, investment and nurturing local skills and talent, with the goal of providing the women a decent livelihood and access to education, all of which benefits their families. I also learned that volunteering is the best gift you can give to your community, and now I participate in many volunteer programs in my country. Think big, start small. Don’t let somebody tell you that your idea will not work. Be positive and serve your people, your community without expecting something in return. POST TAGS: Africa, Côte d'Ivoire, IVLP, Meridian Alumni, Meridian Impact, U.S. Department of State, Volunteerism.